Black Friday may have been created as a way to enjoy deals and get a jump start on holiday shopping, but anyone who has actually braved the crowds knows how chaotic the experience can be. Standing in line in the middle of the night, elbowing through hundreds or thousands of other shoppers and still winding up with subpar deals is no way to spend Thanksgiving. This year, relax and unwind with your friends and family. Instead of dealing with the chaos of Black Friday, start shopping online to take advantage of our awesome and personalized gifts. We have all got one person in our lives who starts listening to Christmas music in August and who has their tree up on the first day of November. To delight and please someone who is all about the holidays, gift a special ornament that can be placed on the tree year after year. A fantastic choice is our crystal diamond-shaped ornament, which comes with a gold hanger and is packaged in a stunning keepsake box. 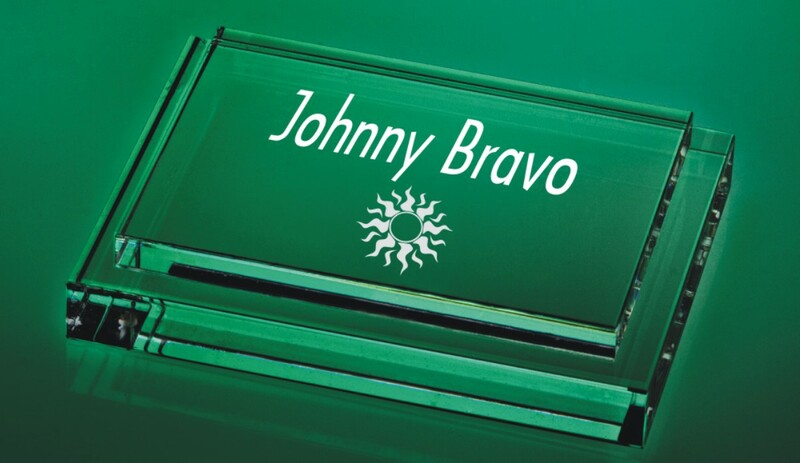 We can engrave it with a special message or name as well as seasonal images like a snowflake or a Christmas tree. This year, you might be shopping for someone who spends long days in the office or is a serious professional when it comes to his or her work. Spruce up the home office or the workplace by gifting something that adds class and elegance without being distracting. An amazing option is the optic crystal quadro paperweight, a heavy and sophisticated piece of decor for any office. 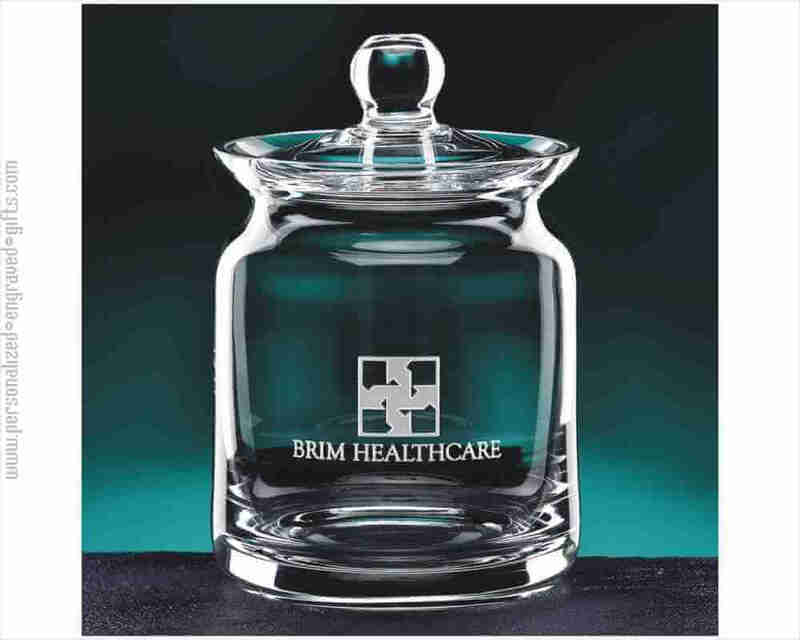 You might wish to have us engrave the recipient’s name onto the paperweight, or you could go with the recipient’s job title or company logo. Finding a truly special gift for a woman who already seemingly has everything can be a challenge, but the best options definitely won’t be at a busy department store on Black Friday. Unique women deserve unique gifts, such as our personalized amber perfume bottle. You can gift the bottle as is, or you can remove the stopper and add their favorite scent to upgrade the present further. The bottle can fit two lines of engraving, letting you share a special message with the wonderful woman in your life. If you’ve been giving books to the literary enthusiast in your life, you might want to switch it up by gifting something that will help pull together their collection of novels. Our set of fossil stone bookends are certainly practical, but they are also an attractive and carefully crafted set that will look stunning when placed on bookshelves in any room of the home or office. 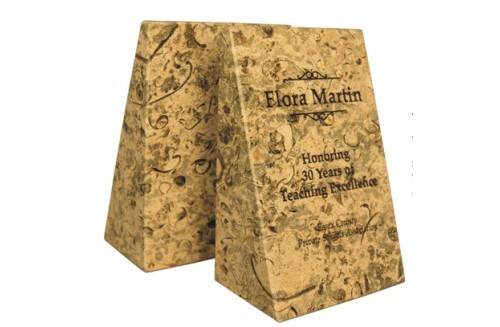 The natural variations in the stone make these bookends truly special, and you can make it extra personal by having us engrave each bookend with a message. Candy, cookies and baked goods are some of the most popular gifts during the holiday season. They can be a wonderful choice, but they disappear in a few days and may not make the impact you were hoping for. Instead, gift a personalized crystal biscuit jar so the recipient always has a beautiful place to store their sweet treats. Our seven inch crystal biscuit jar is a magnificent way to say happy holidays to the friend, family member or colleague in your life. Forget about Black Friday, and head online to scoop up the best gifts for the holiday season. From personalized perfume bottles to engraved bookends, we offer something for everyone on your shopping list. For more Gift Ideas Visit our Holiday Idea Book.